If you’re in the market for a new luxury SUV to upgrade your New Orleans area commute, then you’ll want to take a look at the new Acura MDX. With a best-in-class interior featuring three rows of seating for up to seven passengers, and the choice of five packages/ trim levels, you’ll enjoy a wide range of premium amenities. Explore our inventory of new Acura MDX models for sale in Metairie, then contact us to schedule a test drive today! Why Buy a New Acura MDX? Equipped with a standard 3.5L direct injection V6 engine, the MDX is available with either front-wheel drive or Super Handling All-Wheel Drive™ (SH-AWD). An optional Sport Hybrid SH-AWD 3.0L port injected V6 engine is offered with the Technology Package and the Advance Package. 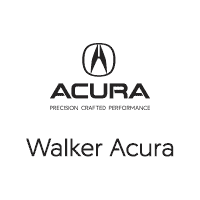 Review our MDX vs. RDX comparison to find out which of these Acura SUVs will best suit your needs in Covington , and make sure to check out our new vehicle specials, then apply for financing to lock in a low-interest loan. If you have any questions, or would like more information, please give us a call at (504) 464-4004.